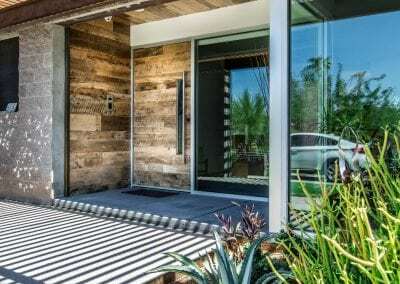 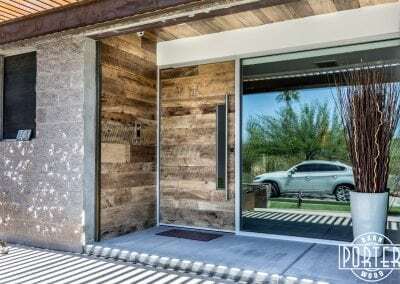 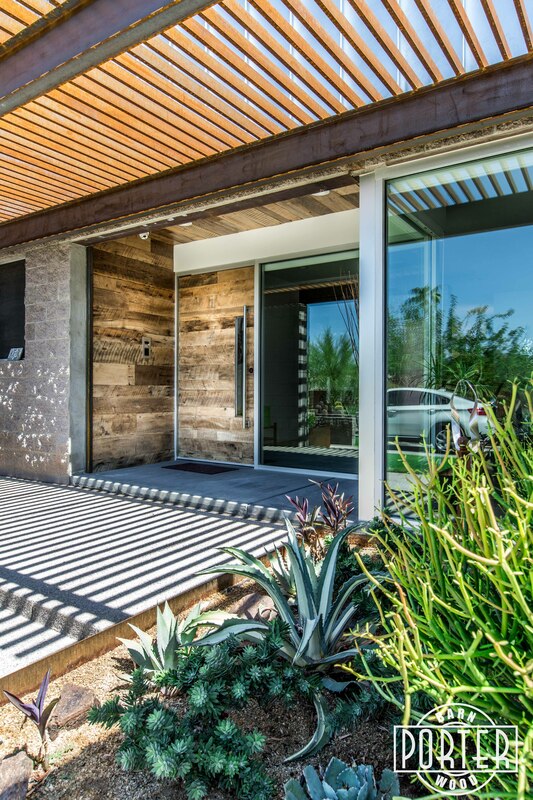 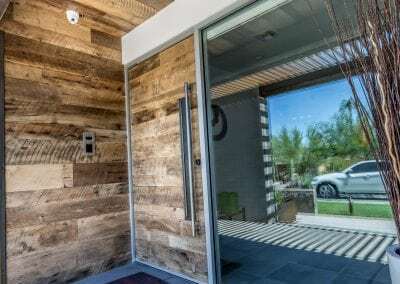 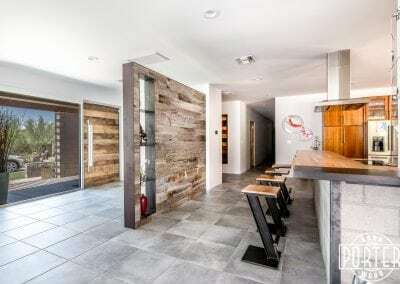 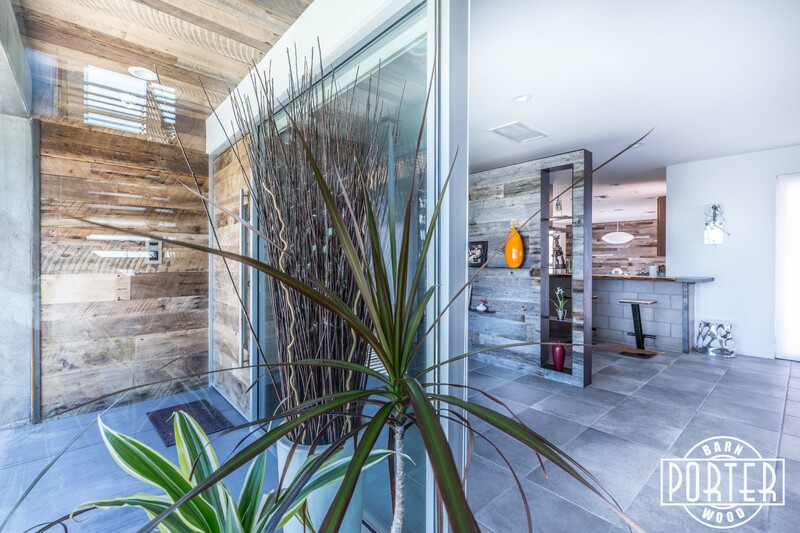 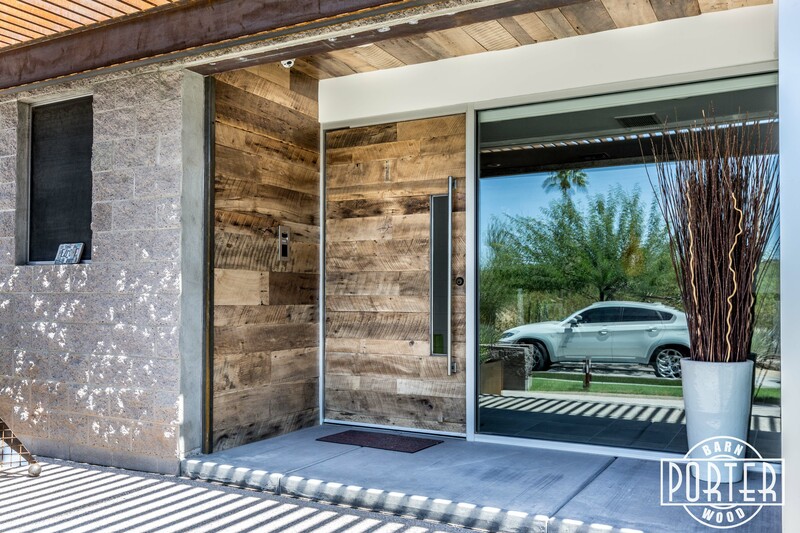 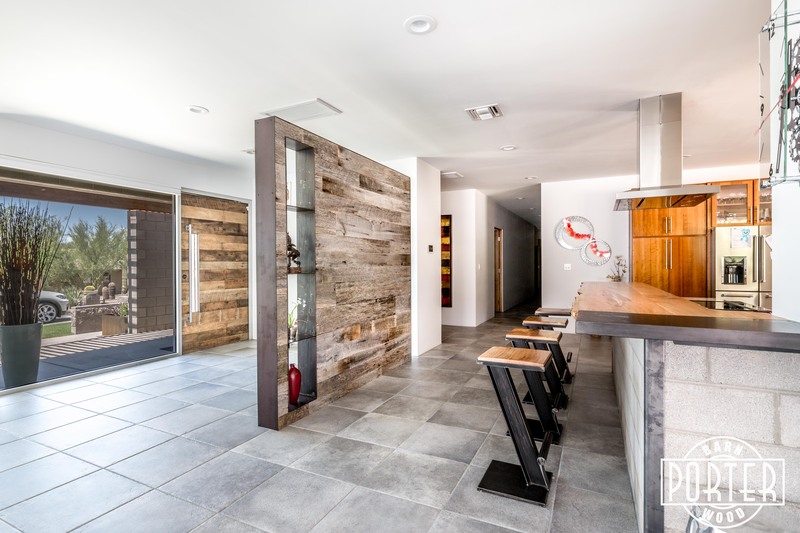 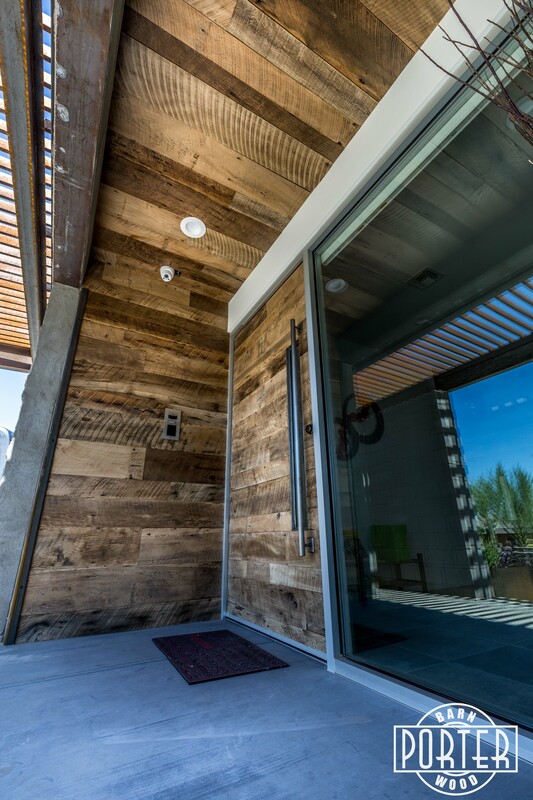 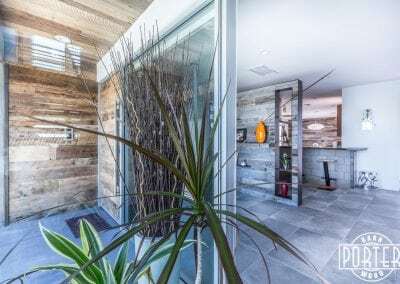 Rustic and modern meet at the front door of this custom home. 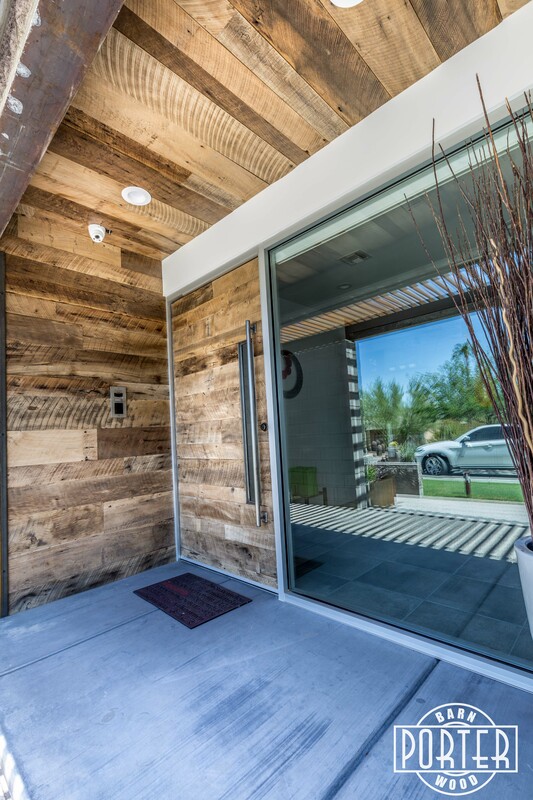 The front entry to this house is wrapped in our Tobacco Barn Brown material. 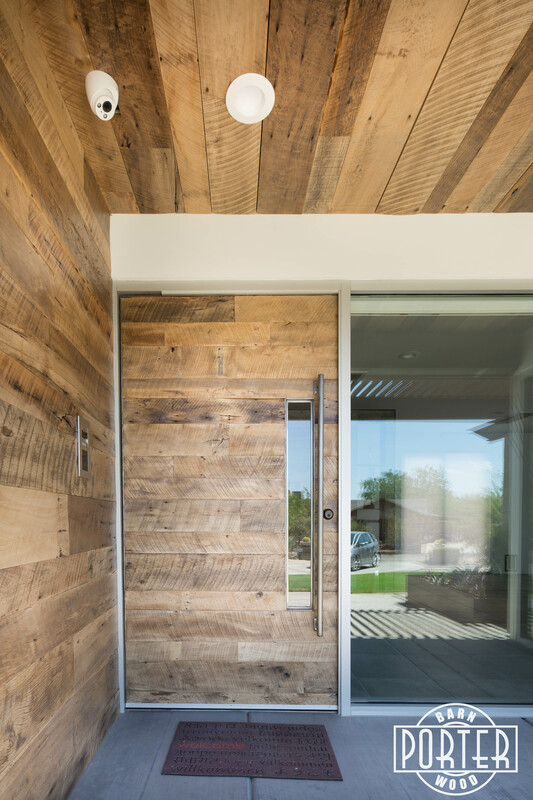 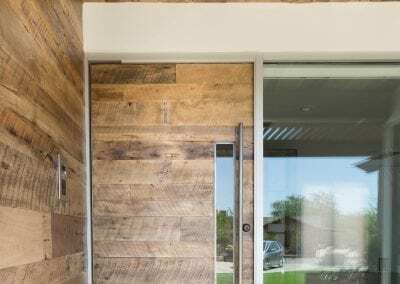 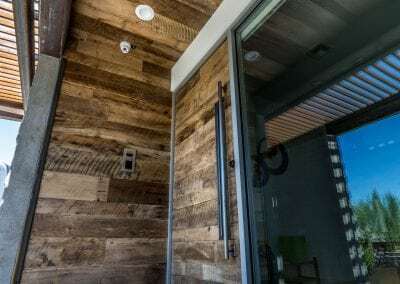 You enter the house through our Custom Tobacco Barn Brown Pivot Door.